is to know where are the old menus and toolbar icons!!! 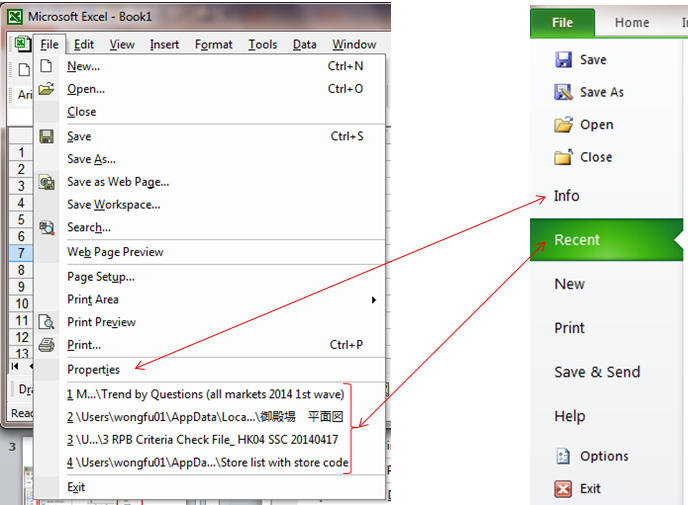 I guess there are still a lot of of Excel 2003 users in Hong Kong, mainly in workplaces. No idea if it is also common in other cities. There are so many reasons for not upgrading. Not to my surprise, one of the most commonly heard reasons is the resistance to change. you probably faced difficulties in basic stuff like Printing and Page Setup… 😦 Does it sound familiar? If you just switched from Excel 2003, or are planning to do so, the first thing you should do is to spend time to get yourself familiarized with the new Interface – the Ribbon. Let’s see where are those “File”, “Edit”, “Insert”, “Format” etc in the new Excel. 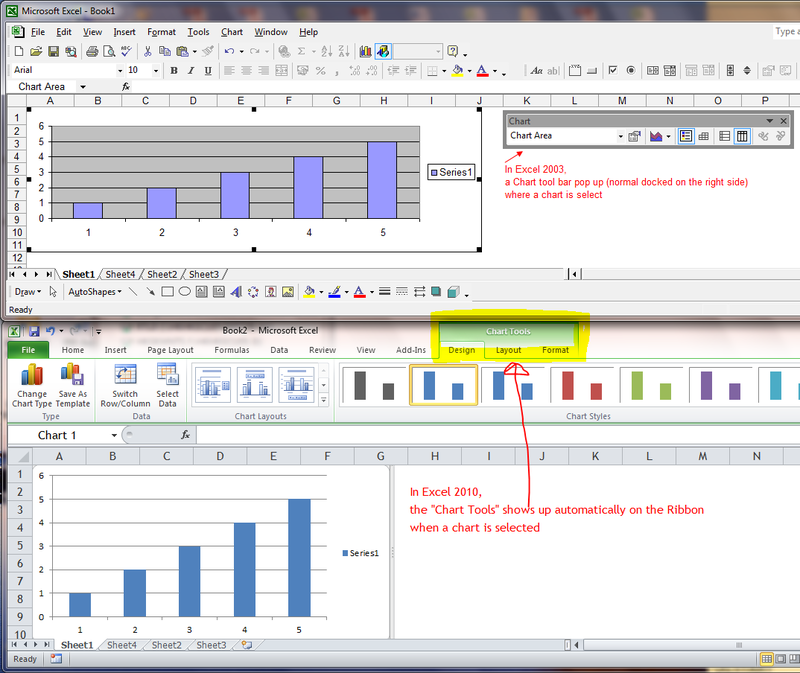 (note: Excel 2002 and 2010 being used in the following screenshots). Seems not a drastic change. Well, Data is still Data. Except PivotTable. Note: Pay attention to the Ribbon. 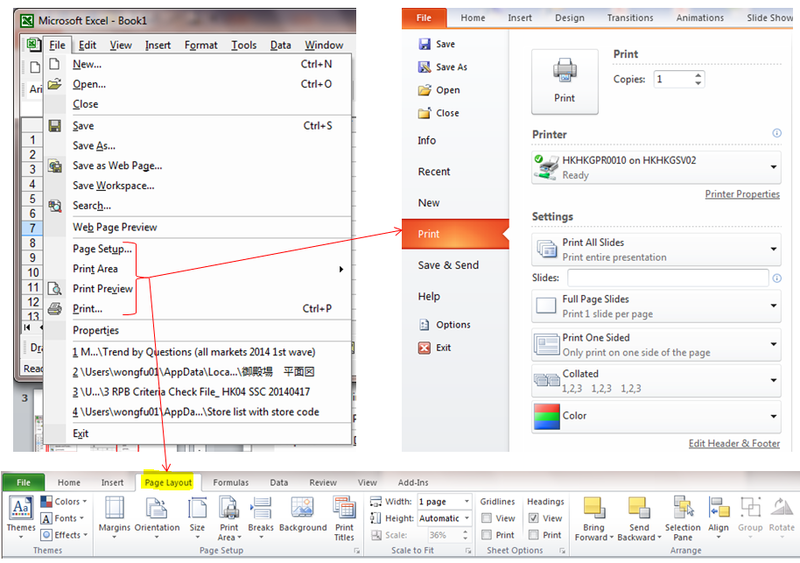 Corresponding tools are available when an object is selected. What about Right Click Menu?? We don’t need it at all as most of them have been grouped into different tabs of the Ribbon. No?! There are something icons not being found on any tabs on the Ribbon. You are correct. 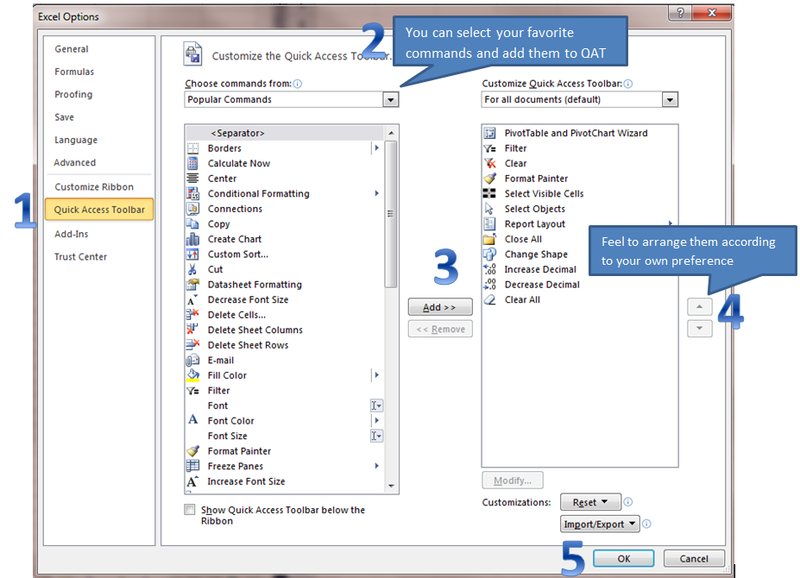 Maybe that’s what Quick Access Toolbars (QAT) for! 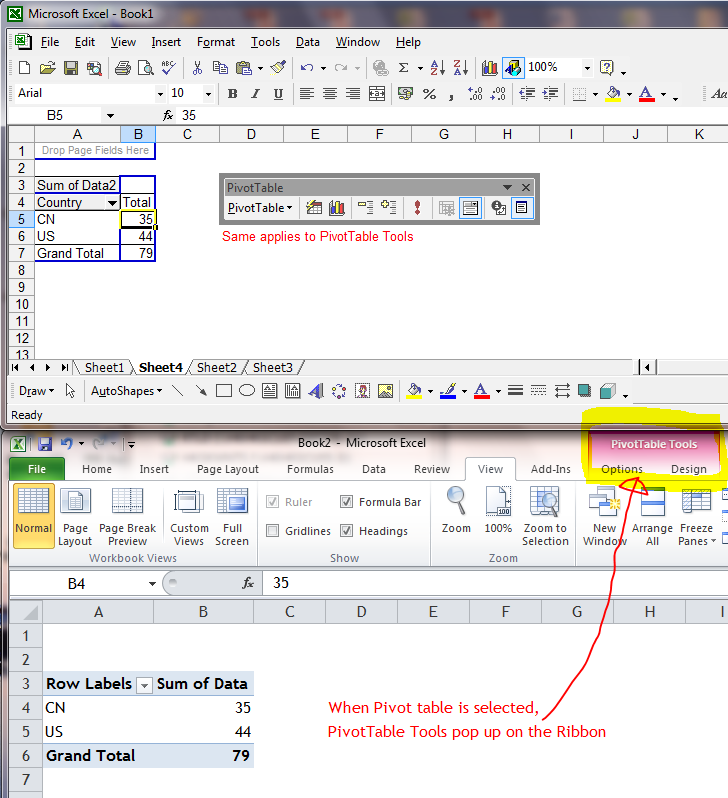 Btw, more customization can be made to Ribbon in Excel 2010. This entry was posted in Excel Basic and tagged QAT, RIBBON. Bookmark the permalink.